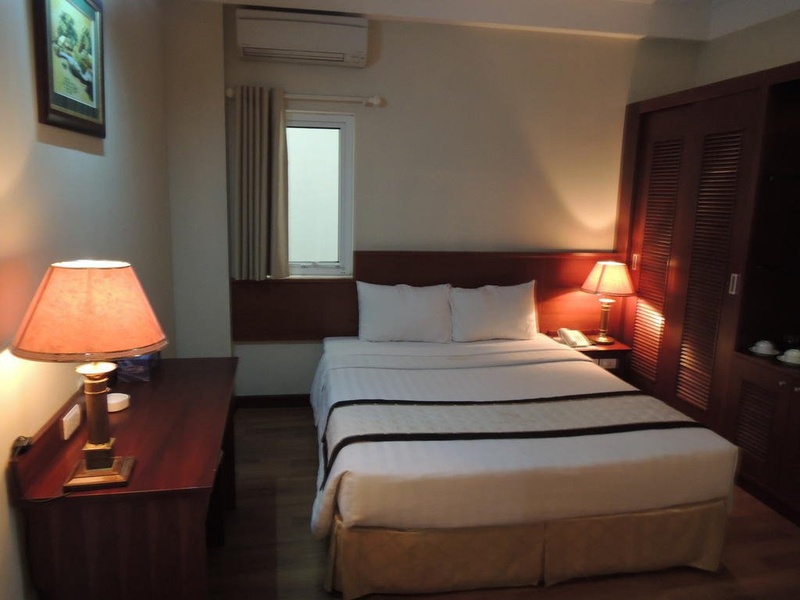 Regal Hotel – Pham Huy Thong is a popular choice amongst travelers in Hanoi, whether exploring or just passing through. Offering a variety of facilities and services, the hotel provides all you need for a good night's sleep. Free Wi-Fi in all rooms, Wi-Fi in public areas, car park, room service, airport transfer are there for guest's enjoyment. Comfortable guestrooms ensure a good night's sleep with some rooms featuring facilities such as television LCD/plasma screen, internet access – wireless, internet access – wireless (complimentary), non smoking rooms, air conditioning. The hotel offers various recreational opportunities. For reliable service and professional staff, Regal Hotel – Pham Huy Thong caters to your needs.